BOCA RATON, FL – On Saturday, the Boys in Blue head west to take on Naples United FC in what will be the finale of a four-game road trip. Boca Raton are looking to put an end to a two-game skid, while Naples seek to extend their three-game unbeaten run. If Boca Raton FC are able to take all three points, they will have surpassed last season’s points total, with three games yet to be played. 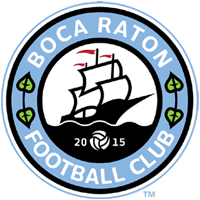 Boca Raton FC have defeated Naples United FC in all three meetings, boasting a 3-0-0 record. The most recent clash between these two sides came in May, when Boca Raton won 3-1 at The Shipyard. Boca Raton FC: Defender Austin Lukasik joined Boca Raton after finishing his first year at Vassar College, where he featured in all 18 games during the 2017 season. Lukasik played an important role in a strong defense that conceded only 0.94 goals per game. The versatile defender is eager to make offensive contributions and get involved in advanced positions. Naples United FC: Striker Jonathan Moyano has been one of Naples’ key players as of late. The 21-year-old forward has found the back of the net in Naples’ last two games, scoring three goals. Boca Raton prevented Moyano from getting on the scoresheet in May and will be eager to do so again. The game will be broadcasted live on Boca Chamber Radio.